There is little to say after Round 11 of Monster Energy Supercross from Jacksonville, other than DAMN things just got interesting. Everyone has his or her own opinion on the series thus far, so rather than give you mine why don't we just comb through the lap charts, brought to you by Motion Pro, to see how it all broke down--because when you think about it, this is what this feature is really about, right? With the "Kings of the lap charts" Ryan Villopoto and James Stewart each having their problems in Jacksonville, the door was left wide open for the taking. And taken Trey Canard did. 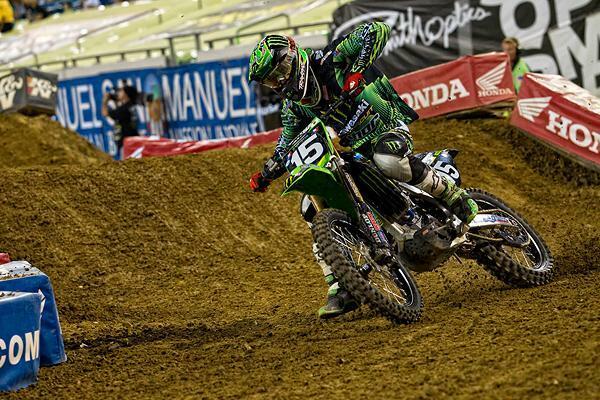 Not only did the supercross newbie take home his second victory of the season, he also set the fastest lap of the night with a 44.008. IT had his best finish of the season at Jacksonville. The two wily veterans of the class--Ivan Tedesco and Kevin Windham--showed everyone that the two old dogs still got a little bite left in their bark. Both riders finished inside the top-six--Windham fourth, Tedesco sixth--recording their best finishes of the year. It looks like the beaches of Southern California had a dramatic affect on Monster Energy/Pro Circuit Kawasaki's Dean Wilson. The Scot put down the fastest lap of the night in J-ville while in the process ending his slump with a runner-up finish. 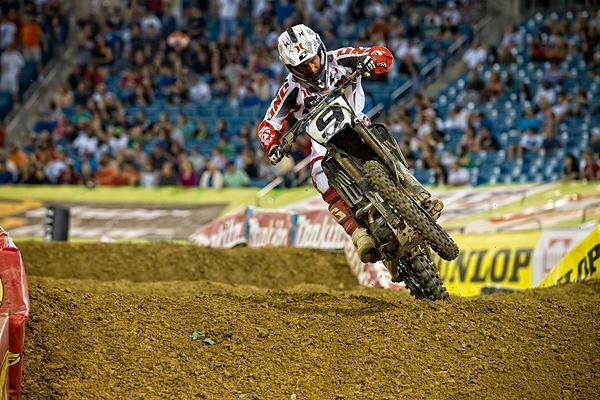 Wilson set the fastest lap of the night in Jacksonville. GEICO Powersports Honda's Justin Barcia looked like a man among boys in Jacksonville. Having a terrible gate pick for the main did little to sway the confidence of the young wild child as he shot out of the gate, grabbed the Nuclear Cowboyz holeshot and never looked back. He also managed to set the second fastest lap of the night with a 45.582. Fresh off a broken foot, Eleven10Mods.com's Darryn Durham proved his heat race ride in Houston was no fluke. The Honda privateer battled inside the top-five all night long before losing out to a hard charging PJ Larsen with less than two laps to go, finishing the night in sixth. But he put on quite an impressive performance in his first race back from injury.